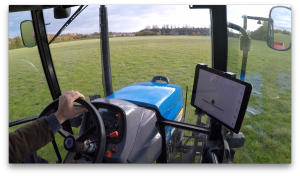 onTrak, a new tractor GPS system set to bring affordable guidance to a much broader range of farming businesses will be on show at Grassland and Muck at Stoneleigh Park on 24-25th May. 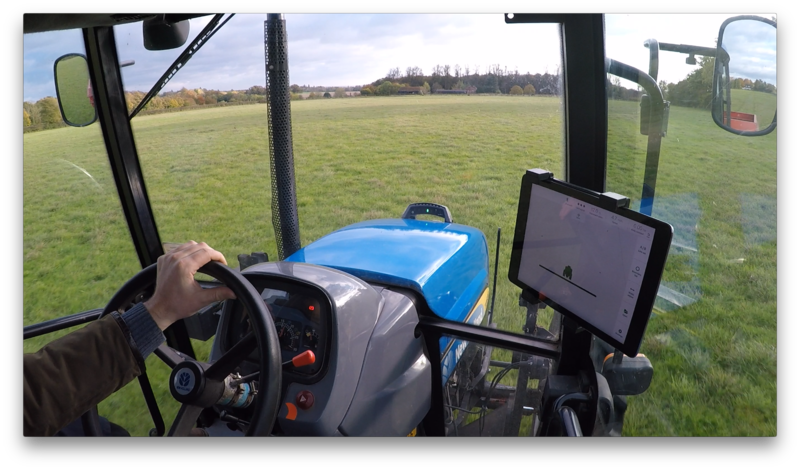 This innovative smart farming tool has been developed by British specialist supplier Agricision, is already helping farmers increase efficiency, with more than 120 units sold since its launch at the beginning of the year. OnTrak is priced at £675 plus VAT. After gaining a first class honours degree in Agricultural Business Management at Reading University, Adam Keene worked as an agricultural contractor, gaining first-hand knowledge of the benefits of precision farming. Agricision was established in 2014 to develop solutions for smaller farms that will enable them to take advantage of the latest technology with systems that are affordable and appropriate for their needs. Agricision was announced as a MassChallenge winner in November 2016 as part of the international start up accelerator programme which attracted 1,200 applicants in the United Kingdom. Applicants were invited to make a Dragon’s Den-type pitch about their product or service before being narrowed down to 100 finalists who received mentoring and business support before the final judging. onTrak is a new GPS guidance system that brings an innovative approach to an old problem. The onTrak device is positioned on the bonnet of the tractor clearly in the driver’s line of sight. Guidance is controlled and monitored via a simple and intuitive free App, downloaded to the operator’s iPad or iPhone.